Cray's Titan supercomputer has snatched the title of world's fastest from the National Nuclear Security Administration's Sequoia—and it's cray fast, as you might expect. 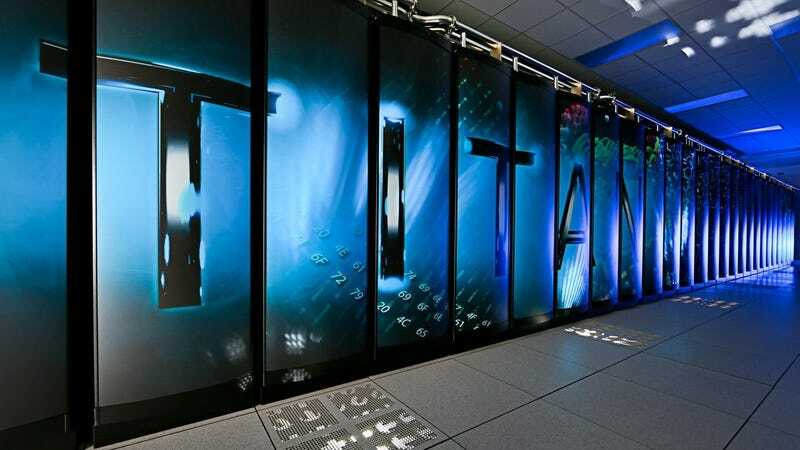 Powered by a mixture of CPUs and GPUs, Titan is home to 18,688 nodes, each of which contains an AMD 16-core Opteron and a NVIDIA Tesla K20X GPU accelerator. All told, that's a whopping 560,640 processors, which are capable of 17.59 quadrillion operations per second. For perspective, Sequoia snatched the top spot back in June with a mere 16.32 quadrillion.